Great Investment Opportunity! Looking for a rental property? The possibilities are endless with this 2- apartment home. Rent out both apartments or live in 1, while renting out the other to help pay the mortgage. Property stretches all the way back to Neck Road, which allows secondary access to the property. With over 2 acres of land you could also subdivide into lots to sell. Property is located on a family friendly street & is close to the schools, shopping, recreation & all other amenities. Each apartment has a kitchen, dining room/ living room combo, 2 bedrooms & a full piece bathroom. Each apartment also has its own separate entrance & meter. On those beautiful summer evenings sit back, relax and sip your coffee, while you enjoy your breathtaking view of the ocean. The road is the only thing separating you from the water’s edge. Don’t miss out on this great opportunity. 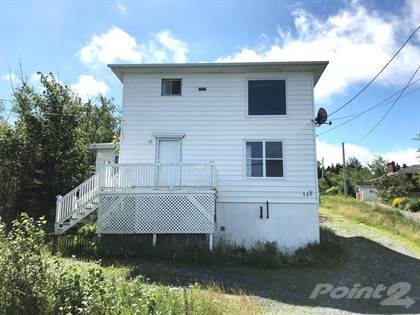 Hi, I'd like to find out more information about 120-122 George Mercer Drive. Thanks so much!